A few weeks, ago nestled in my postbox was a crispy new copy of Grateful Dead Dave's Picks Vol 3. I always savor the anticipation of my Grateful Dead vault releases, and this release was no different. I belong to the GD vault subscription service, so four times a year I get a little slice of Christmas. I highly anticipated this release because it was from the Fall of 1971. It also contained music that I had not previously heard. Fall 1971 for the Grateful Dead was a time of great metamorphosis as well as extreme creativity. For most of the year the band performed as the "quintessential quintet" after losing Mickey Hart in February for personal reasons. 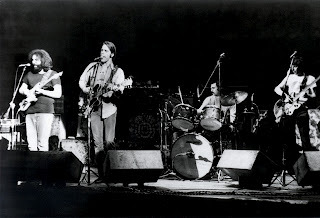 By going back to one drummer the band could swing like no other, and performed streamlined crisp rock shows throughout the year.. Phil Lesh referred to this period as the band's "turn on a dime era". Some critics of this early to mid 1971 period cite the lack of improvising as somewhat of a issue. While this is somewhat true, it has to be taken into account that the band was introducing new songs at a legendary rate, as well as developing their new sound. Which leads us to October 1971 as the Grateful Dead embark on their Fall tour. A new addition to the band is keyboardist Keith Godchaux. Garcia had been remarking for sometime that the band needed a keyboardist that could help take their improvising to new heights. Pigpen was a proficient organ player, but his skills on piano were little to nonexistent. Pig's strengths were elsewhere. Keith's addition ushered in what most consider to be the golden age of the Grateful Dead. This period lasts roughly from the Fall of 1971 until their "retirement" shows in October of 1974. Keith's impact on the band was swift and immediate. That is where the new Dave's Pick's picks up, October 22, 1971, three days into the band's Fall tour. This was Keith's third show with the band, and the music feels like he's been there forever. This show represents the era when the band was honing their improvisational skills which would come to glorious fruition during the Europe 72 tour in the Spring. The October 22, 1971 Chicago Auditorium show is a perfect representation of what Keith brought to the band, as well as how tight the Dead had become. The first set of the show starts with the usual opener of Bertha, but after that there is nothing usual about this release. 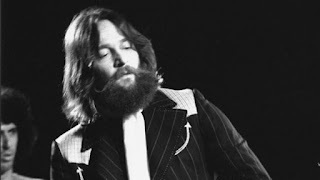 The first set is sprinkled with a cross section of the band's career, as well as songs like Tennessee Jed, and Ramble On Rose which are played here for only the second time. Special mention goes to "Beat It On Down The Line", "Comes A Time", and "Cumberland Blues," which all benefit from the enthusiastic vibe the band is feeling. The band smokes this set until there is nothing left. Keith's playing is above the earth as he bounces and dances around Garcia, confident in his delivery of every song, new or old. The first set is a shining example of a rock band at the top of their game. The summit of the show is the 25 plus minute "That's It For The Other One " suite contained in the second set. Ushered in by a danceable Billy K drums interlude, the "Other One" comes crashing through the wall. Phil Lesh holds down the bottom end with a fierceness that defined his playing throughout this era. The pre-verse jam hits peak after rolling peak, like whitewater racing through a boulder strewn ravine. No notes are wasted by any of the players involved. The post verse jam, thick as jelly, drips over and under itself, until the conglomerate of the band feels its way back into the pounding roll of the Other One. This piece foreshadows the towering versions of the "Other One" to come, dates such as 10-26-71, 11-14-71, and my personal favorite 12-1-71. The band throughout this passage develops melodies out of thick air, bounce them off of one another, and watch them fly away. It is an absolute joy to hear the band listening to each other so intently. The jam becomes a crosstown bus passing by noisily, before segueing seamlessly into a lumbering "Deal". Snorting versions of "Sugar Magnolia", Casey Jones", and "Johnny B. Goode" bring this performance to a voice shredding close. After barely having time to catch my breath I pop in disc three to find there is an additional hour of music from the same venue, the previous night. The powers that be at GDM decided to include another raging set of songs from October 21, 1971. While not the entire performance, what is included here is more than enough. The disc starts with a typical, which is to say, stomping version of a standalone "Truckin". This is followed by an always welcome appearance of "Big Railroad Blues" which ripples with tight ensemble playing.The obvious highlight of disc three is the Dark Star->Sitting On Top Of The World->Dark Star->Bobby McGee suite. The "Dark Star" is a quiet meditative version broken up by a classic "Sitting On Top Of The World", which tips a top hat to the bands "primal" days. The "Star" is a loose shimmering version, light on percussion, and heavy on particle like melodic ideas. Keith in his second show has already proven his exceptional improvisational prowess. The pre-verse jam breaks apart into a stained glass interlude at only three minutes, the band is obviously "feeling it". After the first lyrics are sung the band again drops into a lightly flashing space, delicately filled with Lesh chords, and Weir filigrees. Jerry picks harmonics around Keith's child like piano, and Billy's light cymbal taps. I feel like these early Keith shows are overflowing with originality and excitement. The excitement is tangible as Jerry grabs a major key riff from the chaos, and one by the one the band drops "more or less in line", into a "Feeling Groovy" jam. "Sitting On Top Of The World" makes a quick appearance, then disappears back into the second verse of "Dark Star". Dark Star then leads into a sweetly sung Bobby McGee, which closes the suite of songs started with "Dark Star" almost a half hour previous. Wow, an amazing series of songs, tightly played, creatively improvised, and emotionally performed. This ends the obvious highlights of disc three, though the show ends with a unique and heartfelt "St. Stephen-> Johnny B. Goode". Dave's Pick's Volume 3 is a great representation of the Dead during a time of change and growth. The crisp Rex Jackson recording contains dynamic sound and intense performances. Per usual, great care has been taken by the people at Grateful Dead Merchandising to give a us a fantastic archival recording. If you are so inclined, please check out the Grateful Dead in the Fall of 1971. Listen to a band on the cusp of greater things, and quite possibly the best live band in the world.